Lake County Eye: From Townhall to Monty Hall? The focus of many of those protests has been the call for a town-hall meeting with Hultgren. 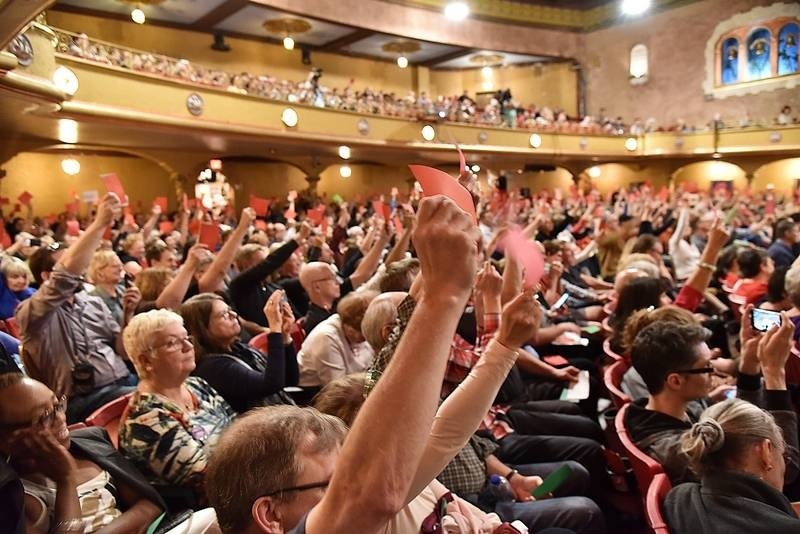 After working with multiple League of Women Voters chapters on the logistics, Hultgren, of Plano, provided that town hall at the Arcada Theatre in St. Charles. Of course just as an attorney should never ask a question unless he knows the answer, a politician should never hold a townhall unless he knows who will be in the seats. One credible spokesman explained how it's done: "Don't bother filling the room with friends and relatives. Pack that room with all your lobbyists instead!" The spokesman elaborated: "When access to your Congressman is on the table, you not only guarantee a civil townhall meeting, but the event pays for itself!" A win-win by your LakeCountyEye's reckoning.